You will be picked up by our company safari driver/guide at the lodge after breakfast and then he transfer you to Kisoro at the Uganda-Rwanda boarder. You will pass through the rolling hills and beautiful scenery throughout passing via Ruhengeri Musanze district in the north western part of Rwanda and continue to Cyanika, after finalizing with the boarder arrangements we shall cross to Uganda then after continue to your accommodation, if you have energy you will go for adventurous activities like guided nature walk for opportunity y to view various species of birds, and plants, visit also Lake Mutanda the natural, beautiful-looking Lake surrounded by the volcanoes, walk around the shorelines to view various species of birds . Dinner and an overnight at Travelers Rest Hotel/Kisoro tourist hotel. This morning after breakfast, you will be driven to the Democratic Republic boarder (Bunagana) after clearing, cross to the park headquarters for a short briefing about the dos and don’ts while with gorillas. 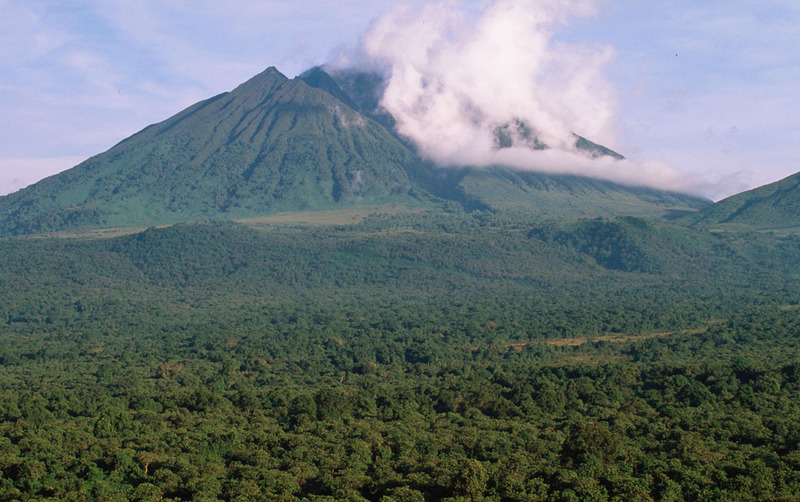 After a short briefing from the park wardens and being assigned to a gorilla family, you will follow the ranger guide to the Virunga forest to begin the activity possibly the most interesting activities done at the park. You are reminded to go with tracking gears like study pairs of walking shoes/boots, meeting these giants may go from 1-8 hours depending on their movement so a reasonable degree of fitness is needed. Tacking may be herd as it involve tracking through the forest, hills and swamps ,however ounce you come face to face with these giant apes is worth the effort and you are strictly allowed only one hour with these apes while studying and observing their behaviors as well as taking as many photos as you can. In the process of tracking mountain gorillas, you will come across several other primate species like the golden monkeys, blue monkeys, black and white colobus monkeys, giant forest hogs and many bird species among others. After the activity, return back to Kisoro and later continue to Kigali or at the airport to meet your departure flight back home.